It is expected that, on May 15, 2007, Ontario’s Citizens Assembly on Electoral Reform will recommend replacing Ontario’s Single Member Plurality (SMP or “First Past the Post”) electoral system with the Mixed Member Proportional (MMP) system. If it does so, Ontario will hold a referendum on October 10, 2007, to decide whether or not to replace Ontario’s SMP system with the MMP system. The key difference between the two electoral systems is that the SMP tends to yield single-party majority governments, whereas the MMP tends to create minority governments. 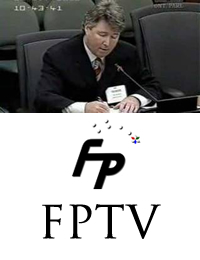 In this episode of FPTV, Freedom Party of Ontario leader Paul McKeever explains to Ontario’s Select Committee on Electoral Reform that minority governments exclude the possibility of rational and exclude ethics from the law-making process. 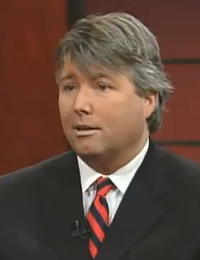 Only a majority government, submits McKeever, allows a government to make laws according to what is right rather than just according to what is merely popular. 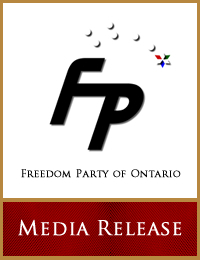 “Freedom Party today released a video to encourage members of Ontario’s Citizens’ Assembly on Electoral Reform not to recommend replacing Ontario’s Single Member Plurality (SMP or “first past the post”) electoral system with the Mixed Member Proportional (MMP) system…” Click here to read the full media release.